I’m sorry for the silence in the blog throughout the last few weeks. Enough things happened that were worthwhile to write about, but to be honest I was too lazy and distracted with other things. But I will deliver, I’ll promise. For now I’ll write about the next upcoming thing: The Handball Champions Cup in Tahiti! The Champions Cup is a Oceania wide tournament, where the alleged best teams of Oceania play against each other to rule out who will be the next king of the islands the best team on the biggest continent in the world, the pacific ocean. And could you think about a better place to play handball than Tahiti? Traditionally, the teams from New Caledonia and Tahiti are known to be quite strong, as they have their roots in the nation of handball loving (and rugby loosing hrhr) France, while the English invaders of Australia and New Zealand preferred to play boring sports like cricket. Anyway, the tournament goes from the 5th till the 10th of November, which means our team will fly into Papeete today, in 8 hours to be exact. Our selection of 11 players trained hard during the last couple of weeks and we are all very excited about the things to come. Will it be a successful tournament for the Auckland Region Handball club? We don’t know yet, but being the unknown underdog can be quite useful. Nobody knows us and we don’t have anything to loose. Usually this is a good formula to surprise other teams. I will try and report from the event daily. 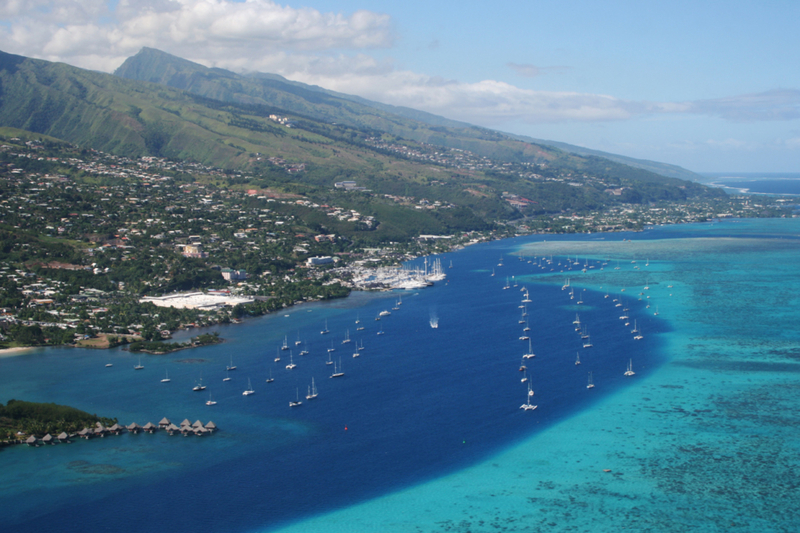 But for the moment there is not much else to say than giving you a few facts about Tahiti. Tahiti is a dependence of France and therefore under the reign of Sarkozy, the magnificent Dwarf. It is the capital island of French Polynesia and wonderful sounding paradises like Mourea and Bora-Bora are part of this group of islands. The biggest city is the capital Papeete with over 130.000 people, which is quite impressive for a little island, I think. Tahiti can be found at latitude 17 degees south of the equator, thus it totally in the tropics, yeah baby. A shame, that we won’t have much time for the paradise side of Tahiti, thanks to the tight handball schedule. So we will miss out on gems like Bora Bora, but maybe I can come back anytime soon, who knows. Haut rein Jungs – ihr gewinnt !! !